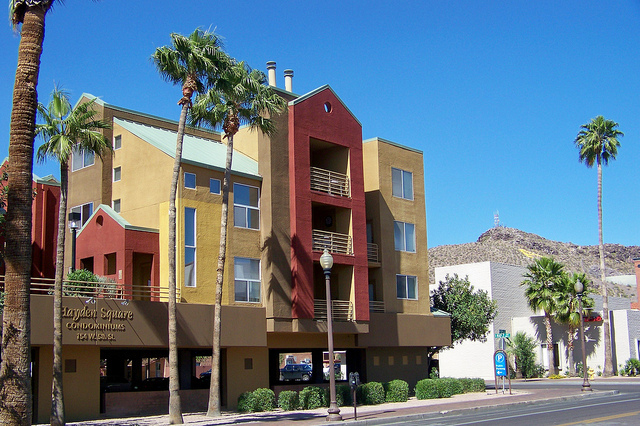 Hayden Square is a Tempe loft condominium located at 154 W 5th Street, Tempe, Arizona 85281, built in 1988. Amenities Include: Reserved Garage Parking, Elevator Access To Garage, Heated Pool, Spa. 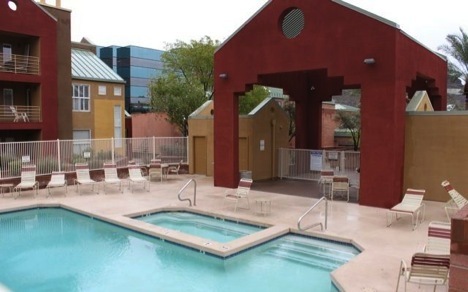 Hayden Square is located in Downtown Tempe, near Mill Avenue, within walking distance of ASU campus, Sun Devil Stadium, Tempe Town Lake, shopping, restaurants and entertainment.